South Korea’s culture minister put an end to the debate surrounding whether BTS members would be exempted from military service during a parliamentary audit Wednesday. “All of the BTS members say they will definitely enlist for military service,” said Do Jong-hwan who heads the country’s Ministry of Culture, Sports and Tourism. 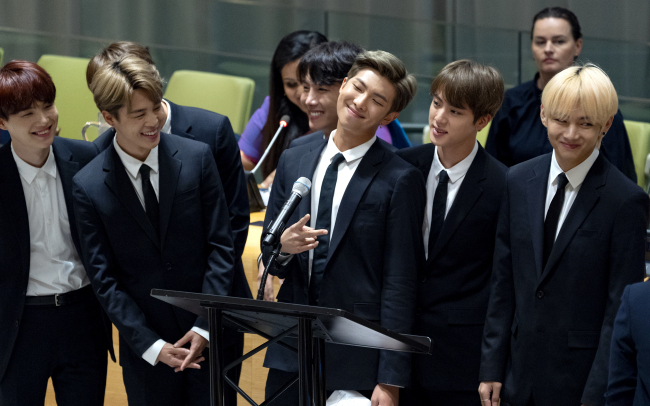 His remarks came as Rep. Cho Kyung-tae of the main opposition Liberty Korea Party had asked about Do’s stance on the recent contentious issue: whether BTS members should be granted conscription exemptions on the grounds of the band’s flourishing music career. The debate was initially sparked by a lawmaker from the minor opposition Bareunmirae Party on July 25. Rep. Ha Tae-kyung suggested at a National Defense Committee meeting that outstanding achievements in the popular culture industry should qualify for exemption from mandatory military service. His argument was that topping Billboard charts should not be considered as less valuable than winning prestigious international classical music competitions, the latter of which merits military exemption according to the relevant law. As mandatory military service is a touchy subject in Korea, intense discussions have followed. There has also been backlash, with an online petition calling for the band’s disbandment filed to the Blue House on Sept. 25. “It is a shame that it is being reported as if the seven members (of BTS) are excusing themselves from military enlistment. As a matter of fact, they intend to do the exact opposite,” Do said of the matter, adding that plans to resolve complications related to conscription exemption are currently underway. “The Ministry of Defense will work with the culture and arts department head to devise a reasonable alternative solution for artists,” he added.